THAT ADAPT TO SCREEN SIZE. 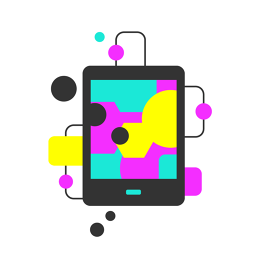 But adapting to the screen is only the first frontier of a new, responsive web. Today, users expect online experiences that not only respond to what device they’re using, but also their location, time of day, what they’ve already read, and events happening inreal time. Somehow, we’ve lost that ability on the web. 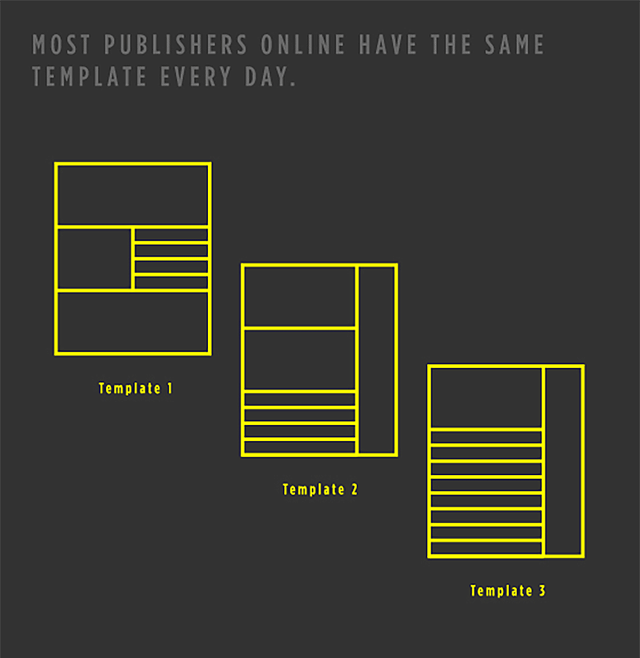 Most homepages use the exact same layout, day in and day out. And it’s not just homepages. Article pages–where most users first land on websites–look exactly the same, too. To a user, a day when war breaks out in Iraq can feel exactly the same as a day when the biggest news is a change in Bieber’s hairstyle. These limitations aren’t just stifling for readers. The lack of variation inonline presentation limits a news organization’s ability to communicate its perspective and editorial voice to readers through design choices. Websites should do more than respond to devices. Web experiencesshould respond to multiple contexts so that they’re meaningful to every reader, in every moment, on every device. To address this, most publishing sites throw in a comments section or put a static, poorly designed “recommended content” module at the bottom of the page. What they should be doing is reusing more dynamic designs and responding to users to create an ideal path for them to follow. When users finish an article, why not allow them to continuously scroll right back into the section page? The section page is already well-designed and editorially curated to contextualize the article in a larger flow of news. Scrolling back into it after an article feels completely natural, and invites the reader to dive deeper into the section.From there, you can incorporate what you know about users. It’s easy to glean what device users are browsing on, the time of day they’re visiting, where they are in the world, whether they’re regular or new visitors, how long they’ve been on the site, and where they’ve just come from. 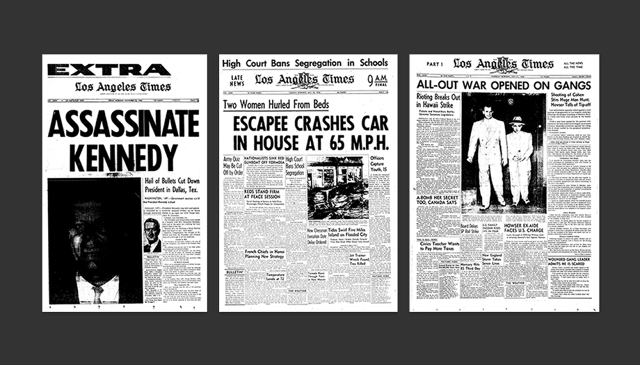 When we redesigned the Los Angeles Times, we collaborated with theTimes on an algorithm that automatically decides the best thing to serve each user, based on all the information we know about them. Crucially, the system still allows editors to override those choices when they need to respond to major events. For example, if users come in through an article on the Times‘ Dodger’s blog, and they’re frequent readers of baseball articles, the default setting might be to serve them more sports content. But if an earthquake has just happened, an editor can override that behavior to serve the news organization’s editorial agenda. Media outlets aren’t the only organizations that could benefit from a more holistic approach to responsive design. On the web, the definition of a publisher has become fluid. Anyone who wants to reach a user through media can become a publisher. Increasingly, brands are co-opting tools designed for publishers to offer better experiences for their customers. But to truly adopt a responsive philosophy, you can’t slap newpaint on an old house. You must create dynamic systems that can ingest, analyze and act on information to serve a tailored experience. In the future, these systems can adjust to incorporate new editorial needs, technologies, and user behaviors. 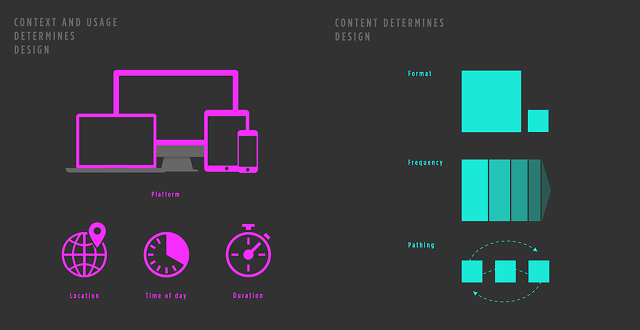 Responsive philosophy is not just about designing websites that adapt to screen size. It’s not just about designing new interfaces. It’s not just about upgrading a technology stack. It’s about suffusing an entire organization’s culture, process, and technology with the ability to respond to any situation, anywhere, for any user, inside and out. Read more about Code and Theory here, here, and here.